At one of the Bolt sales I bought a couple of yards of this great navy and pink print fabric. I'm not normally into prints like this, but the colors were attractive to me and it reminded me of a lot of the fabrics from Mociun and Rachel Comey. It's a cotton lawn weight and I thought it would be great for something summery. 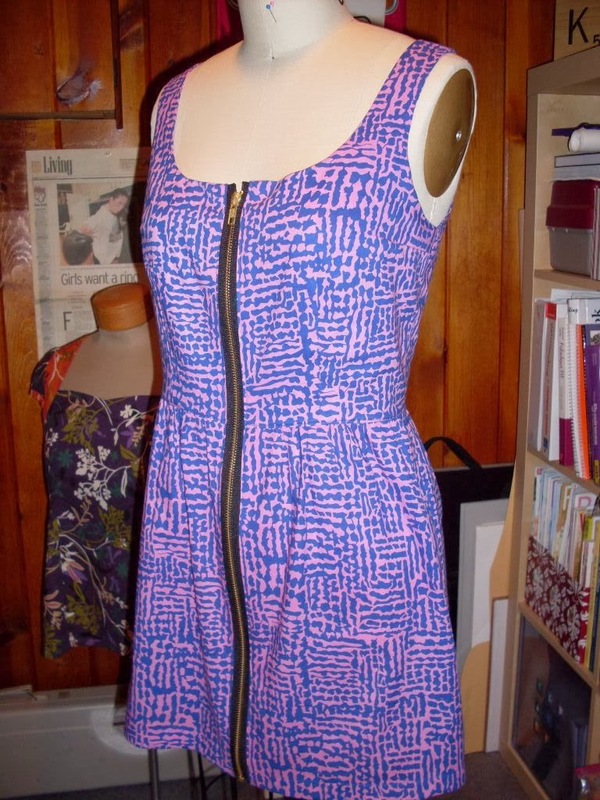 I had seen this Dusen Dusen dress a while back and loved the zipper front detail. 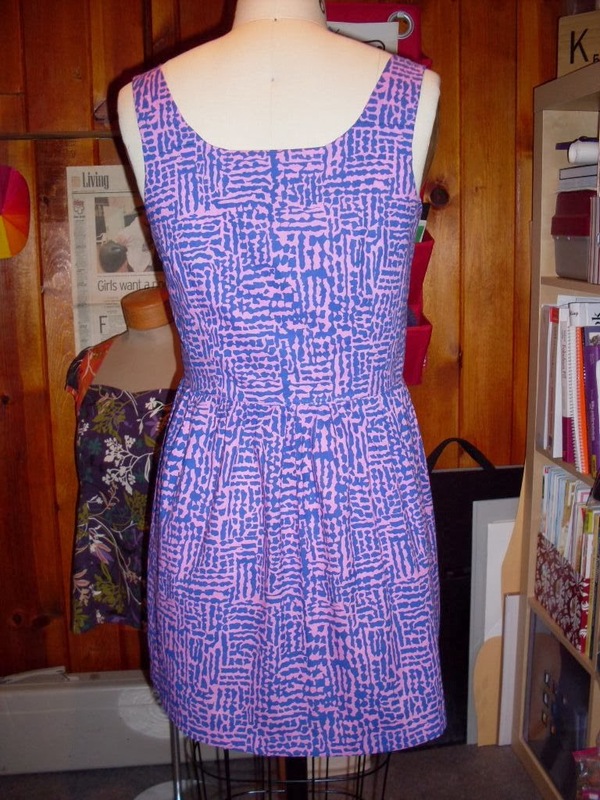 It also comes in a number of prints that reminded me of the fabric I was using. So, with the Dusen Dusen dress as inspiration, I decided to drape something similar. The original dress has princess seaming, but I used front and back waist darts, as well as bust darts. 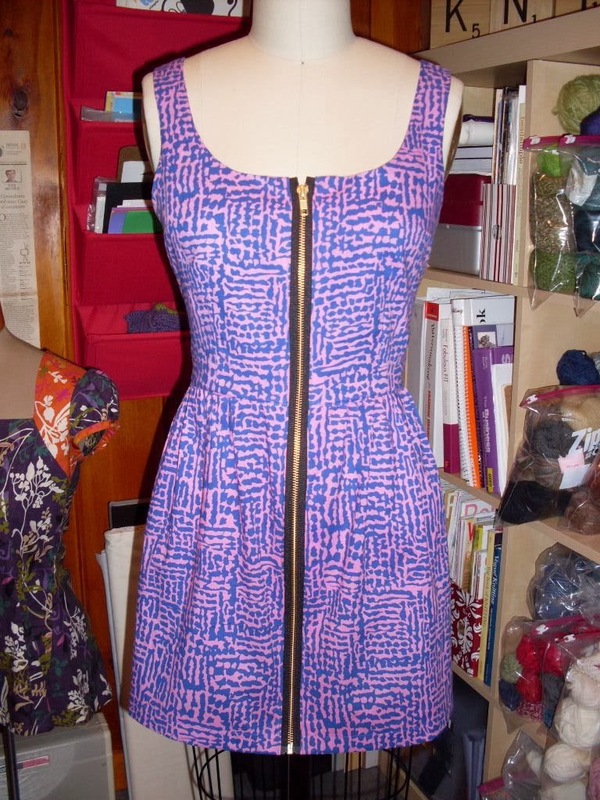 My neckline is a little more squared off too, but other than that I think it comes close to the original. It's perfect for summer! it looks great. and draping! smarty pants.